Girl Gone London > Expat > Is there a Goodwill in the UK or London? Is there a Goodwill in the UK or London? Hey, thrifter! Have you come looking to see whether there’s a Goodwill in the UK or London? This iconic American thrift store has been known for its bargain finds, as well as being a good place to donate old clothes, books, and housewares to. In fact, when I was in American for just about a week, I ended up at Goodwill three times for various reasons – it’s what we do! Hey, sidenote! If you’re traveling to the UK, whether for a short period of time or as an expat, why don’t you join my Facebook group where you can ask questions, get advice or just look at pretty pictures of this part of the world! Just click here to request to join and I’ll add you! Whether you’re a bargain hunter looking to find a pair of Sperrys for $5.00 (DONE THAT!) or someone who has way too much clutter that you’re about to end up on an episode of Hoarders, I can see why you’re searching for a Goodwill across the pond. The answer is no. There is no Goodwill in London or the UK, and there isn’t really the same thrifting culture here as there is in America. But we’ll get to that in a minute. Before we dig in too deep to Goodwill and end up face first in the bargain basement, I want to talk about some resources I’ve created that will help you navigate life in London and the UK – even if you’re just visiting for a couple of days. First things first, you need the best book on England for foreigners ever written – the book is called “Watching the English” and you should click here and check it out. You might also enjoy Is there a Hobby Lobby in the UK or London? Understanding UK Money: Pence, Not Cents! Anyway, moving along to Goodwill in the UK. Goodwill is an American nonprofit that focuses on helping people get jobs and training them for the working world. 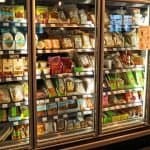 While most of us know about Goodwill as in, the store, they are also an organization that provides lots of other benefits to communities in other ways. 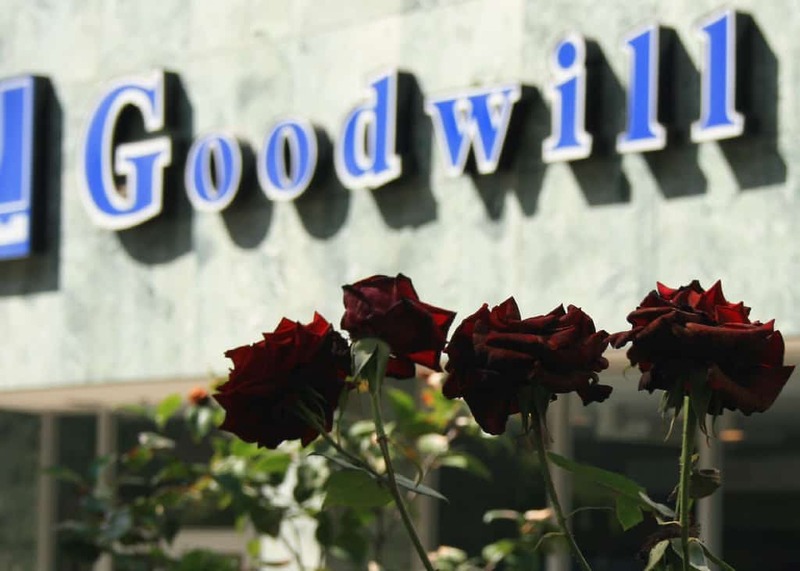 Goodwill was founded in 1902, though not actually called Goodwill until 1915. There are over 3,000 local Goodwills across the US, and the organization also operates in other countries like South Korea and Canada. 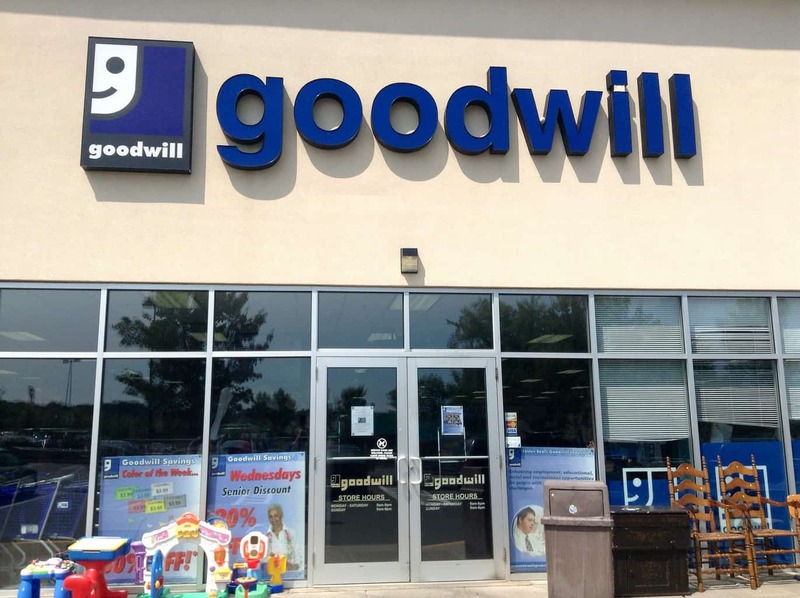 The logo for Goodwill, a smiling white face on a blue background, is well-recognised throughout America and is what will likely greet you should you stop by a Goodwill to drop off donations. Goodwill accepts donations both at its regular stores and at donation-only centers, which then push out product to stores across the area. The rules of Goodwill donation are many, and this is for sanitary reasons and safety reasons. For instance, some Goodwill’s won’t accept certain toys due to lead paint. Others won’t accept mattresses, and of course no one should ever donate their used underwear to Goodwill, THANK YOU. That being said, they do accept a wide variety of items including clothes, small electronics, books, toys, homewares, storage things, pet supplies – the list goes on and on. 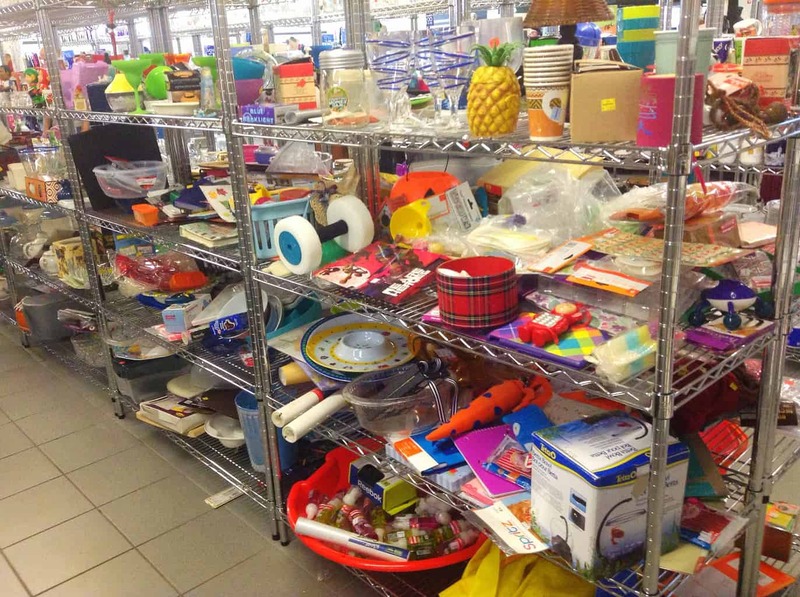 If it can’t be sold in an actual Goodwill store, it can be sold on for parts and materials in bulk. You might also enjoy Is there a Wendy's in the UK? When researching for Goodwill in the UK or Goodwill in England or Goodwill in London, I was struck by some very important aspects of British life that make Goodwill much less of a viable organization here. Firstly, I don’t think the British have as much of a materialistic society as we Americans. That’s not to say that Americans are bad, but Britain just doesn’t have the same amount of space as us and people generally don’t have loads of spare rooms to store various crap they don’t want like a lot of Americans do. Secondly, because the country is smaller, it seems that people have their own individual causes they’d prefer to donate to that are close to them rather than a large, overarching one for the whole country. With that in mind, there are a couple alternatives to Goodwill that I can think of, though neither of these are on the same scale as Goodwill. This cancer research charity has small shops on high streets in many UK towns and cities, with the profits made (after rent and other running costs are paid) going to the charity to help further cancer research. Cancer Research UK would sell similar things to Goodwill in the sense that they’ll take clothes and books, but the stores are often much smaller than your average Goodwill and so you can’t necessarily donate an entire living room full of furniture. Oxfam is another alternative to Goodwill in the UK, though their main focus is on ending poverty. They will also have their stores set up on high streets selling goods donated by members of the public. The stores are often run by volunteers to decrease expenses for the charity as much as possible. Is there a Target in London? 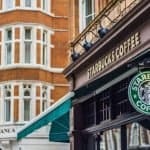 Is there a Starbucks in London or the UK? 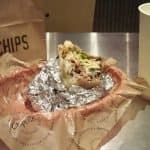 Is there a Chipotle in London, England?